The Barpeta unit of All India Labour Party (AILP) in co-operation with the locals of Dabaliapara in Barpeta district repaired the partially damaged wooden-bridge over Palla river on Tuesday. 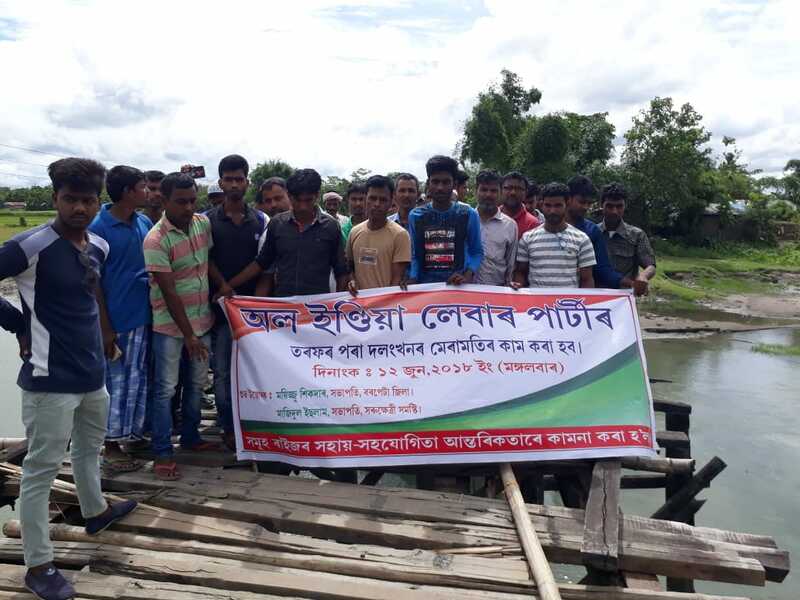 Locals alleged that the administration and the representatives from the region to Assam Assembly did not give any importance, even after repeated requests, to repair the bridge that falls on the border of Sarukhetri legislative constituency and Barpeta constituency. The president also demanded that the Assam Government construct a concrete bridge in place of the wooden-bridge in the region. Barpeta unit of All India Labour Party president Majidul Islam and Sarukhetri unit of the party president Imanul Hussain were also present during the repair work of the bridge.